Experience the Arctic summer under the magic of the Midnight Sun, from early May to end of July sun does not set and even in August it only makes a brief visit below the horizon. With endless hours under the sun, there’s plenty of time for outdoor activities, like hiking, river rafting and after an active day, relax in the riverside sauna. Perhaps take part in the nordic sauna ritual and finish the night off at the mouthwatering chef’s table in the Icehotel restaurant. 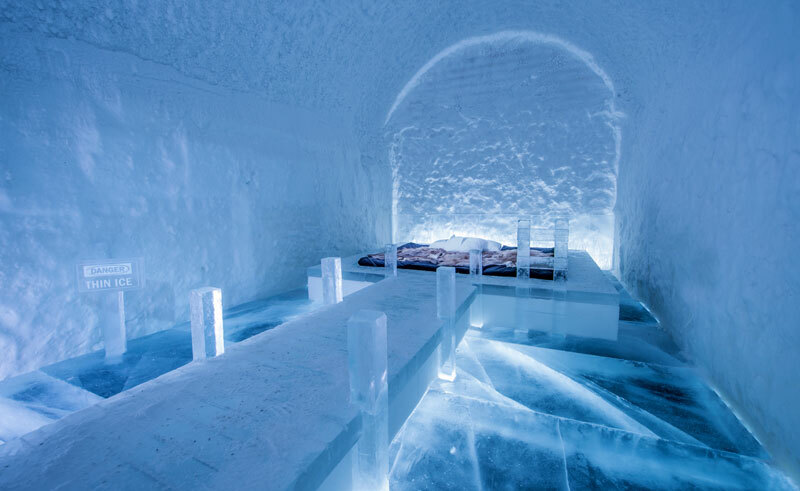 Experience it all by staying at the year-round Icehotel 365 for a unique stay 200km north of the Arctic Circle. 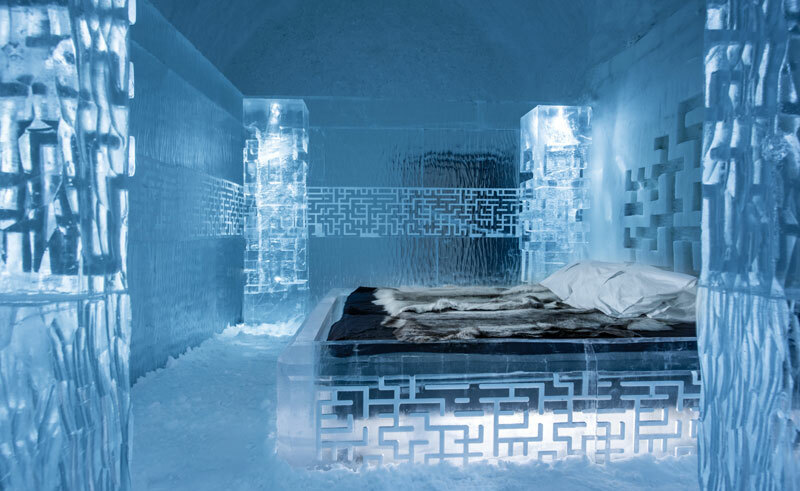 The Icehotel 365 offers a year-round ice experience, with individually designed and carved Art and Deluxe Suites which have to be seen to be believed. 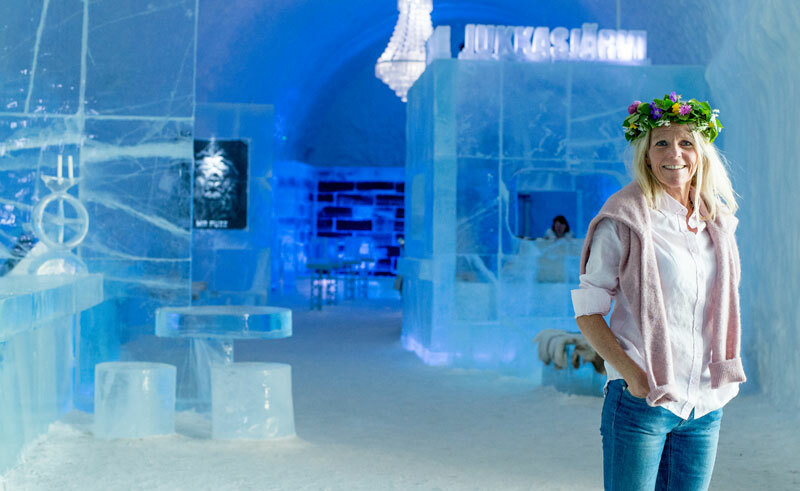 You can chill out at the Icebar, sipping cocktails from ice glasses and experience ‘winter’, even when it is autumn outside. 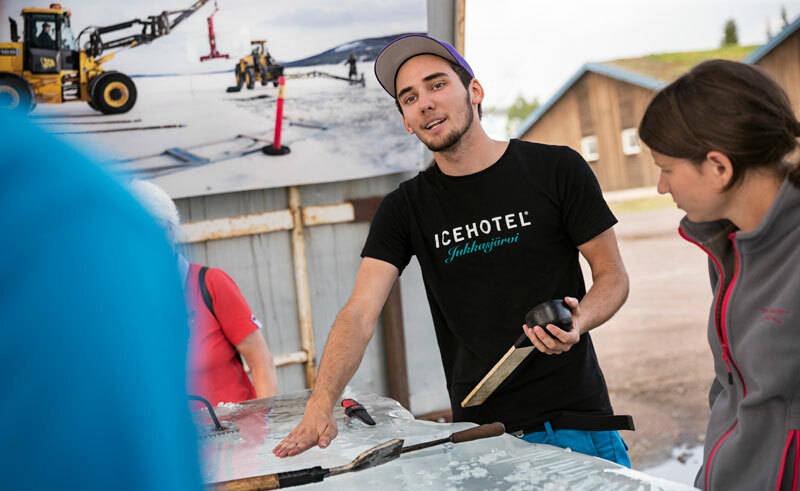 Our fully independent Icehotel Break gives you the flexibility of pre-booking a range of activities, including ice-sculpting workshops, dinner in the wilderness, exhilarating river rafting on Torne River and fishing. Join your local guide and learn wilderness skills and how to survive in the Arctic nature. The Chef’s Table is a fantastic fusion of atmosphere and traditional and local cuisine. You can be as active as you like or relax in the beautiful surroundings of Icehotel 365. 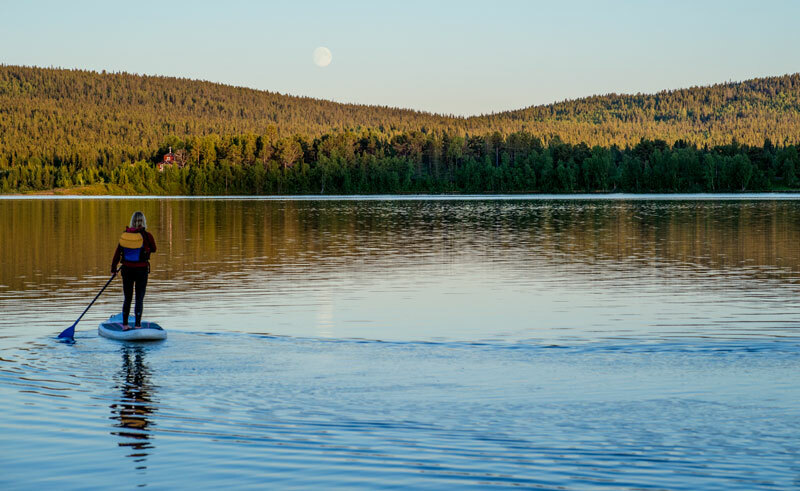 Why not extend your stay in the beautiful city of Stockholm or further north travel to Abisko National Park and the stunning northern fjords of Norway? There is a convenient train journey connecting Kiruna with Abisko and Narvik in Norway. 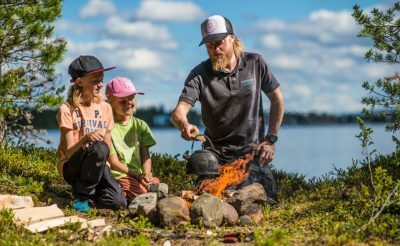 You can also travel towards Lulea and stay at the quirky Treehotel or Brandon Lodge by the sea. 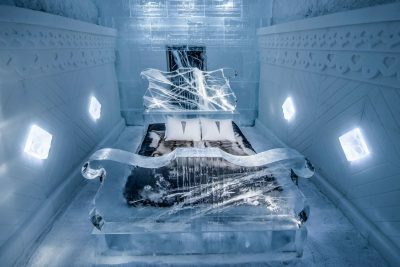 At the Icehotel you can upgrade your stay with a night in the Icehotel 365 in an amazing Art Suite from £129 per person per night or a Deluxe Suite from £390 per person per night. Please contact us for the different options available and we’ll be happy to provide a quote. Fly to Kiruna via Stockholm and transfer to Jukkasjarvi or have a rental vehicle for the duration of your stay, handy for exploring the local area.Check in at the Icehotel for a 3-night stay. Speak to our Icehotel specialists should you wish to include a night in an Art Suite or Deluxe Suite during your stay. Spend your time as you choose, enjoying optional activities, such as ice sculpting, wilderness skills, fishing or the famous chef's table, or treat yourself to a sauna ritual or wilderness dinner. 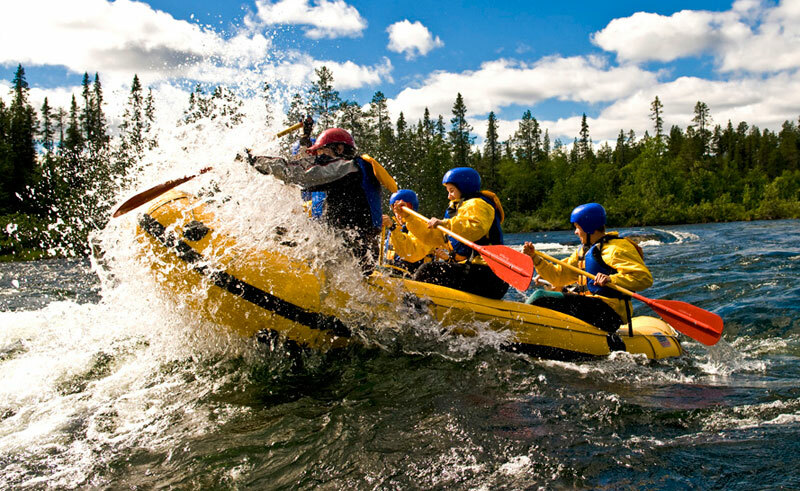 To avoid disappointment we strongly recommend you book your activities and excursions prior to departure. 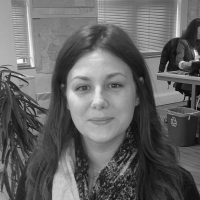 Should you need any assistance with choosing your activities, please contact our expert team who have first hand knowledge. Check out of the Icehotel and transfer or drive to Kiruna Airport for the return flight to the UK via Stockholm. Or perhaps extend your holiday and stopover in Stockholm or travel to the Lofoten Islands in Norway.